Lavender ‘Phenomenal’ A New Introduction! Here’s the second plant of the spring season that I’m excited about; the first one, digiplexis, looks like it will be a winner for our area. Introduced in 2012 by Peace Tree Farms in Pennsylvania, Lavender x intermedia ‘Phenomenal’, is touted to be a truly humidity and heat tolerant variety. 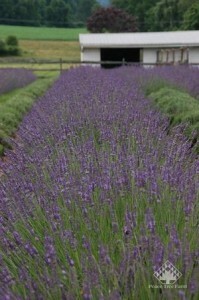 Attaining a size of roughly 24″-30″ tall and wide, Lavender ‘Phenomenal’ is reputed to be resistant to many of the foliar diseases that have plagued southern gardeners and is also extremely fragrant. 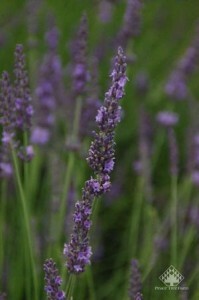 The look is that of a classic lavender plant, with bright blue blooms held high above mounding, silvery-green foliage. Maybe this will be the truly perennial lavender for us, and the others can be used for what they’re best for, either through the summer, and maybe winter, like the Spanish lavenders or as a winter interest lavender like the beautiful English and French offerings. Who says we can’t have it all? I am hoping for the best with Lavender ‘Phenomenal’ and have contracted a local grower to supply us with some this spring. Some will definitely be going in my garden! This entry was posted in Flowers, Herbs, Perennials, Planting Tips, Summer and tagged english lavender, french lavender, growing lavender in the south, herbs, lavender, new lavender, phenomenal lavender, spanish lavender on April 1, 2014 by Kris Blevons.